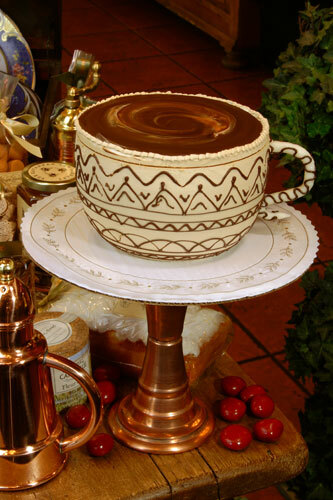 Cappuccino 'Cup' Cake A whimsical 'cup' created from layers of white cake filled with cappuccino mousse and decorated with coffee buttercream, chocolate ganache, and a marzipan handle. Chocolate Cake with Strawberries and Bananas Fresh strawberries and banana slices with whipped cream and chocolate cake layers. One of our most popular desserts! 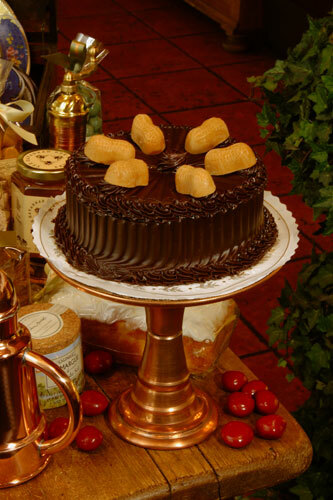 Chocolate Caramel Turtle Cake Layers of chocolate cake, vanilla cheesecake and a creamy fudge filling studded with caramel pecan turtles. Chocolate Peanut Butter Cup Fudge Cake Creamy peanut butter mousse and rich chocolate fudge with layers of moist chocolate cake. 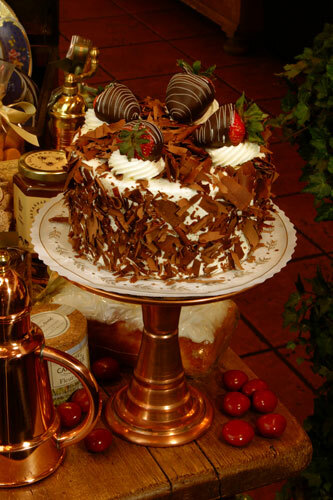 Chocolate Strawberry Cake Layers of chocolate cake filled with strawberries and chocolate-flecked whipped cream. Each cake is beautifully decorated with chocolate dipped strawberries and chocolate shavings. 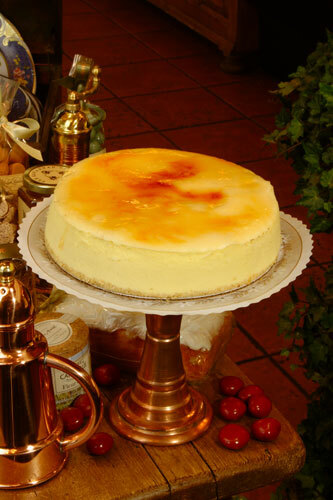 Creme brulee Cheesecake Our creamy smooth cheesecake with a crisp paper thin brulee sugar topping. Empress Cake Layers of white cake with chocolate mousse and mascarpone cheesecake decorated with vanilla buttercream swags and tassels. 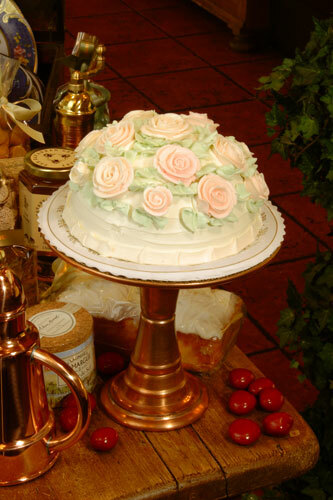 Beautifully adorned with white buttercream roses and crystallized fresh mint leaves. 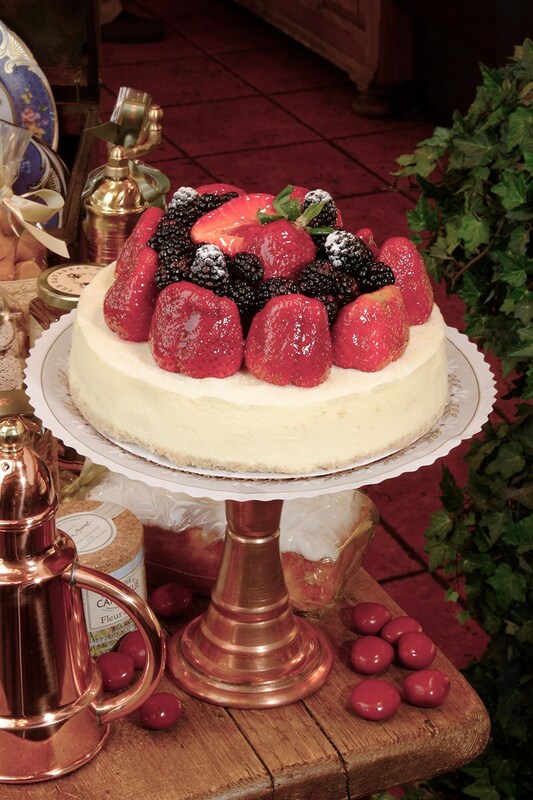 Fresh Berry Cheesecake Our creamy New York-style cheesecake topped with luscious fresh berries. 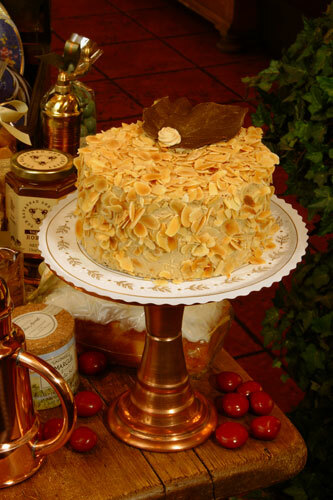 Gateau Almond White cake moistened with Amaretto, layers of coffee buttercream and covered in toasted almonds. 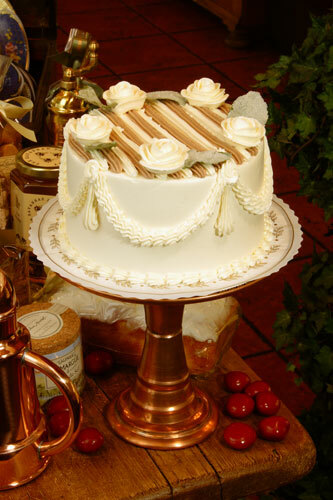 Ivory Vanilla Cake A delicate and beautiful fine textured white cake with an intense vanilla bean cream filling, a white chocolate glaze, and beautiful white buttercream roses and leaves. 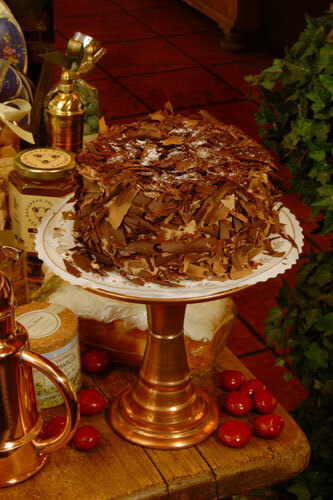 Midnight Layer Cake Dark chocolate cake layers filled with creamy chocolate ganache. 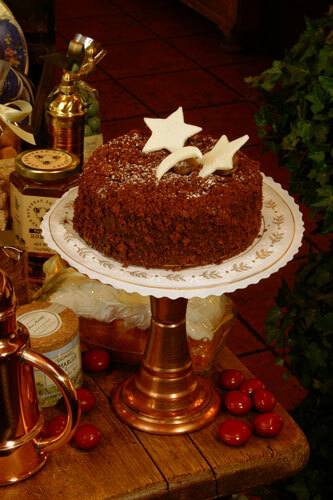 A chocolate crumb layer covers the outside and fanciful white chocolate stars and moons decorate the top. 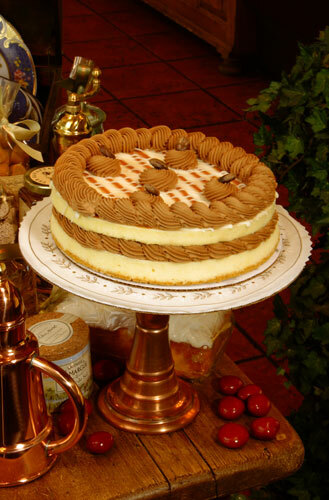 Mocha Caramel Cheesecake Layers of rich creamy cheesecake with mocha mousse and caramel. The ultimate cheesecake experience! 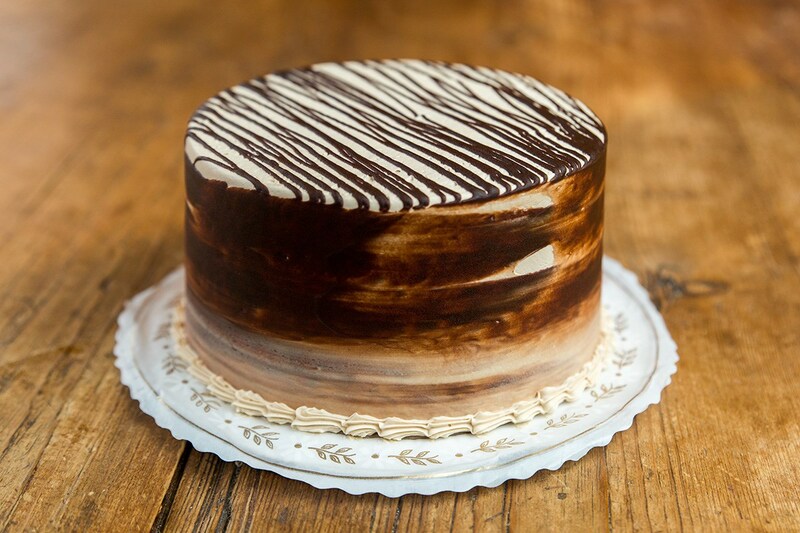 Opéra Cake Thin layers of almond cake alternating with dark chocolate and coffee buttercream. An authentic re-creation Gaston Lenotre’s original Parisian creation. Strawberry Shortcake Cake Not really a “shortcake” this dessert is actually layers of white cake with fresh strawberries and whipped cream. 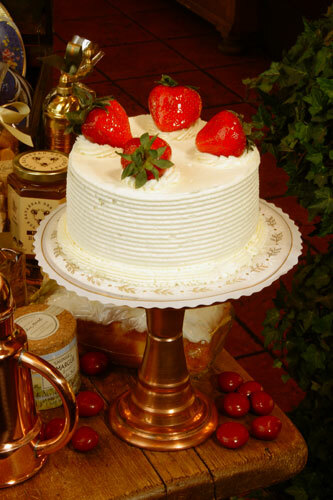 A classic cake for any occasion, decorated glazed whole strawberries and pale green leaves. 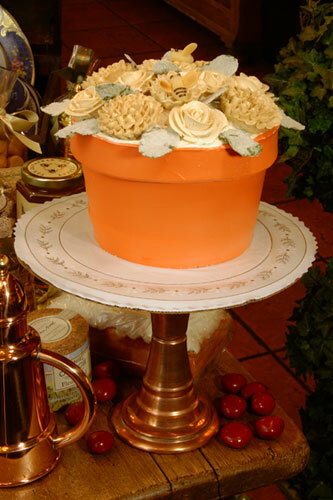 Sun Porch Flower Pot Cake A masterpiece of trompe d'oeil cake making! 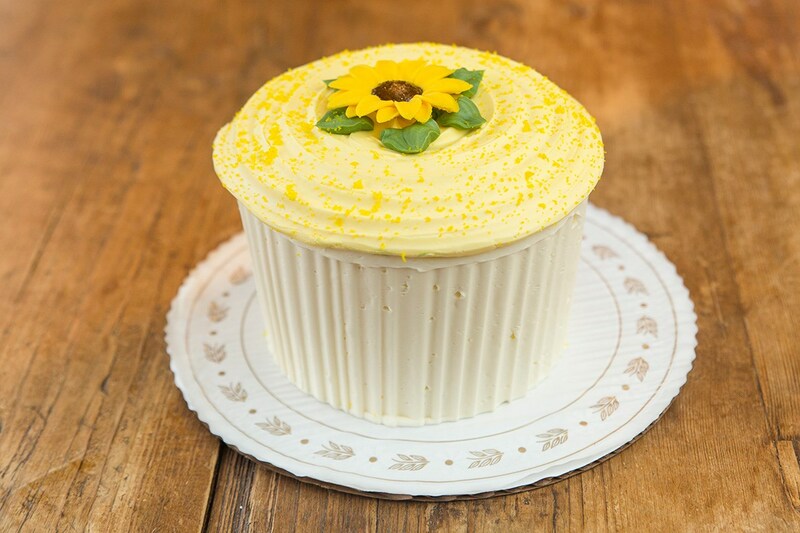 A chocolate cake with layers of chocolate fudge filling and decorated with terracotta buttercream, crystallized fresh mint, buttercream flowers and a marzipan bee. Victorian Strawberry Cake A dome of white cake filled with whipped cream and fresh strawberries encased in light French buttercream. Beautifully decorated with pink roses and pale green leaves. 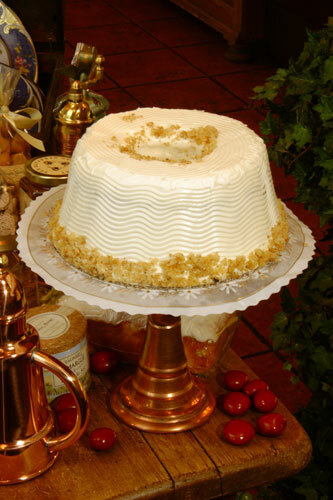 Carrot Cake An unusually fine textured and delicate carrot cake with a vanilla infused cream cheese frosting. The Gift Box Cake with Sugar Ribbons This is truly a work of art. 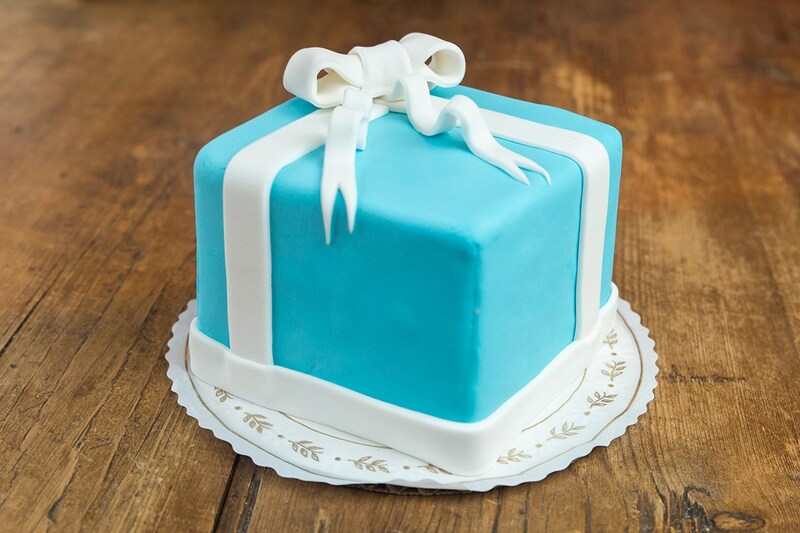 A square cake wrapped like a gift box with rolled fondant and tied with sugar ribbons. Inside are layers of white cake alternating white and dark chocolate ganache. For larger parties, boxes of varying sizes and styles can be stacked one upon another. 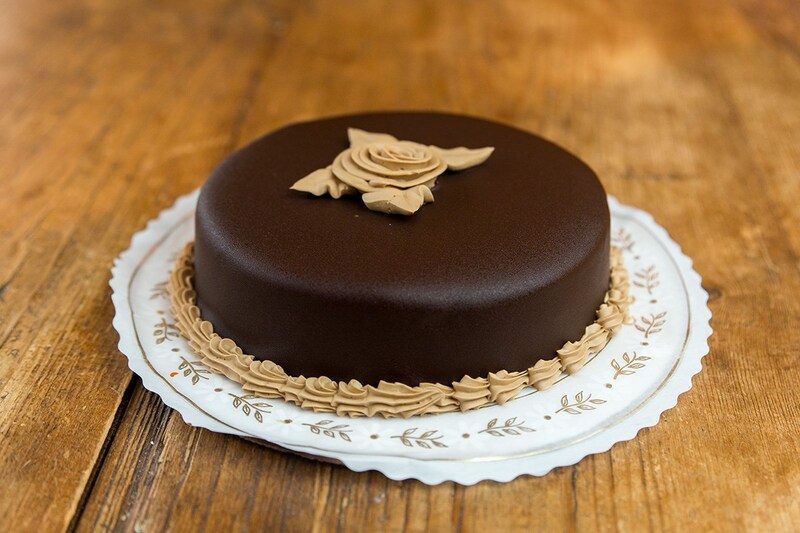 Chocolate Raspberry Torte Our delicious raspberry purée with layers of chocolate cake and ganache. 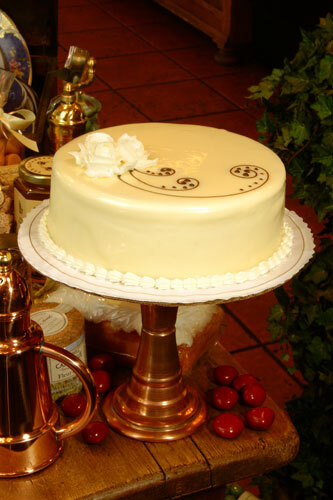 Each cake is glazed with dark chocolate and decorated with fresh berries. 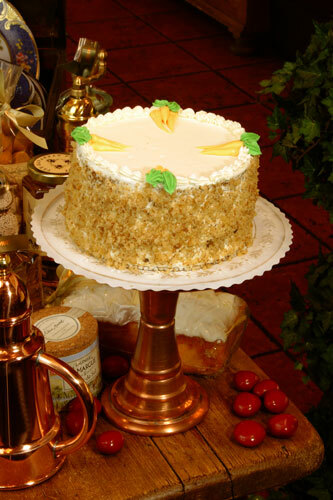 Granny Smith Apple Cake A moist old fashioned spice cake studded with apples, raisins and walnuts with a classic cream cheese frosting. Old Fashioned Chocolate Layer Cake A white cake with a creamy chocolate filling and a light chocolate whipped cream frosting. 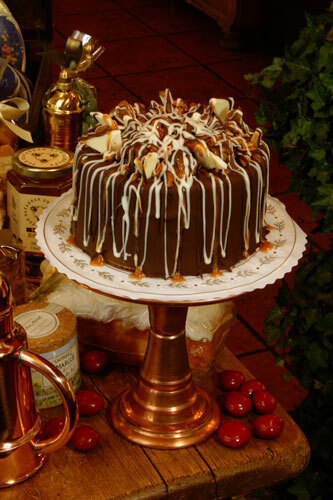 Each cake is completely covered with milk chocolate curls. 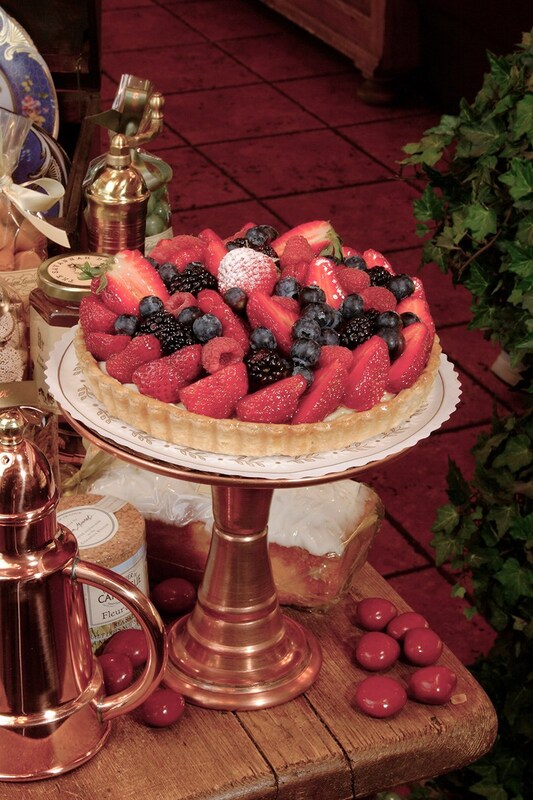 Fresh Fruit Tart Delicate butter pastry crust, vanilla custard and seasonal fresh fruit. A classic dessert. 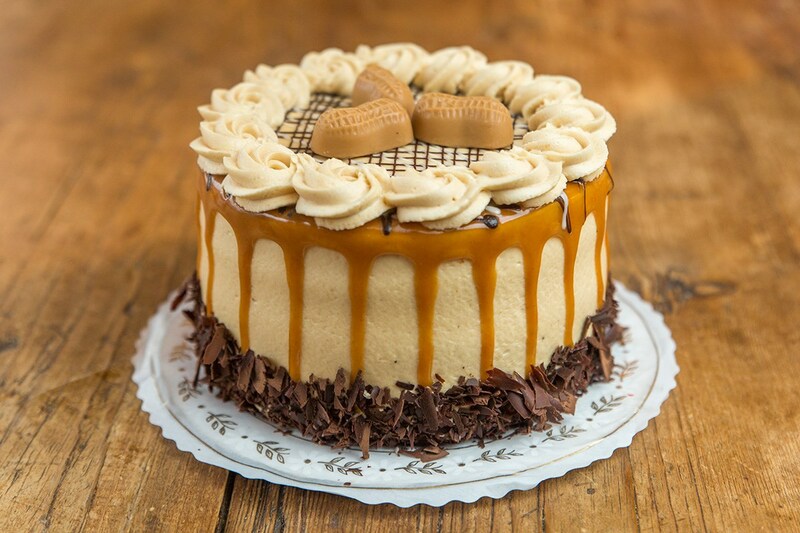 Caramel Marble Cake Layers of chocolate and vanilla marble swirl cake with a burnt caramel buttercream frosting. 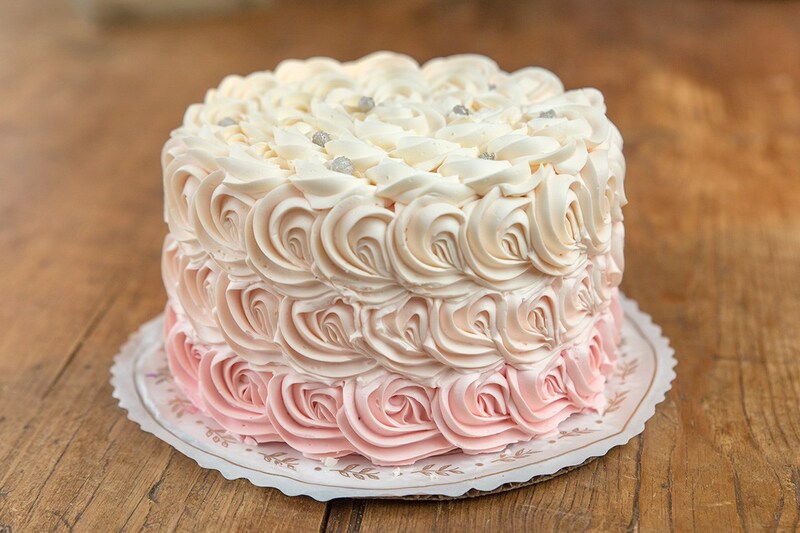 Raspberry Ombre Cake Delicate white cake layers with raspberry filling and French Buttercream. 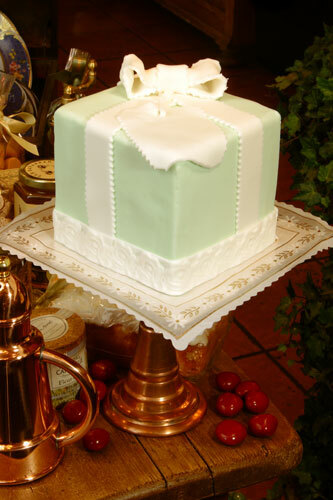 Tiffany Box Cake A cake for truly special occasions which can be made with any combination of fillings. Peanut Butter Mousse Cake Layers of white and chocolate cake with peanut butter mousse. Hot Chocolate Cake Chocolate cake filled with vanilla whipped cream, frosting with light chocolate buttercream. 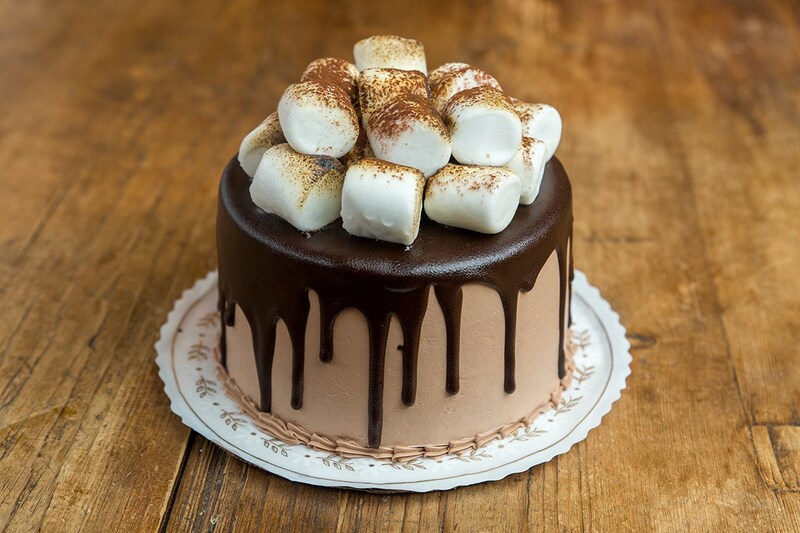 covered in chocolate glaze and decorated with toasted marshmallows. Chocolate Espresso Torte GF A flourless chocolate cake with just a hint of espresso. 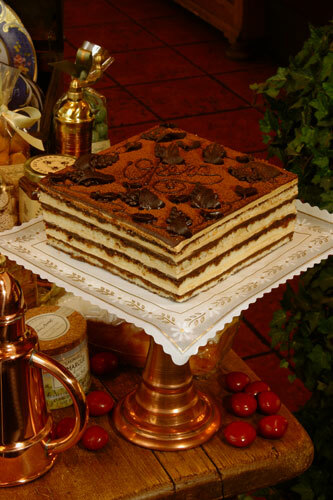 It is a dense, smooth and rich dessert glazed with semi-sweet chocolate and decorated with chocolate flowers and leaves. Flour and Gluten free! 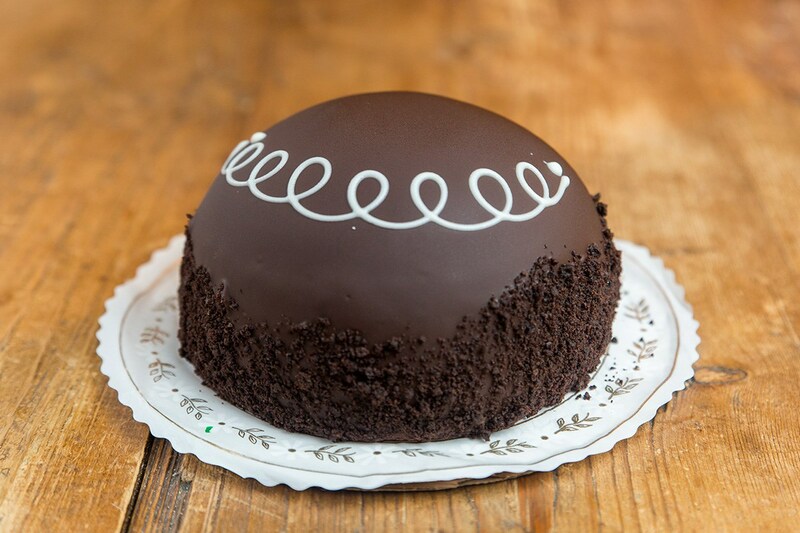 Hostess Mostess Cake Moist chocolate cake with a vanilla cream center and chocolate glaze. 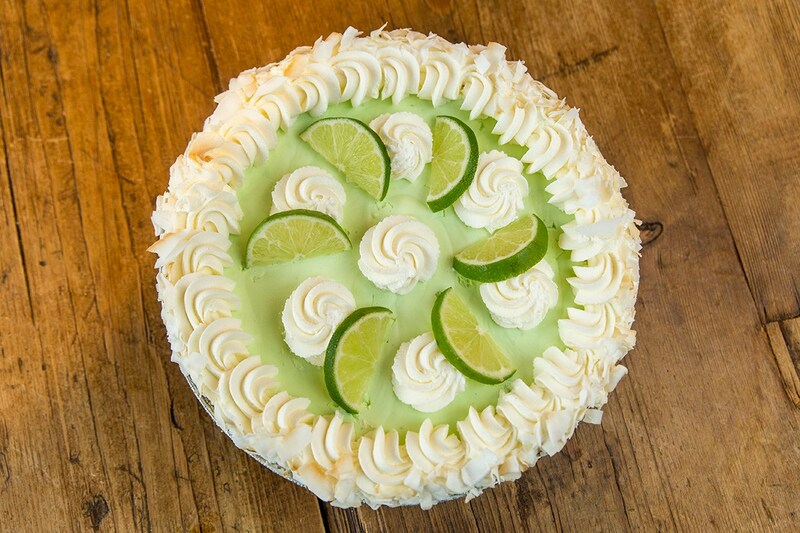 Key Lime Pie Key lime, coconut milk and whipped cream with toasted fresh coconut in a macadamia nut crust.